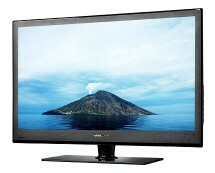 Movies look better on a big screen TV so don’t miss the chance to buy yours now! 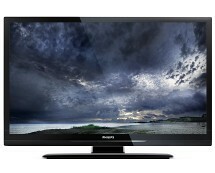 Argos.co.uk offers a £50 discount on the 43-inch Samsung E450 plasma TV, offering it for as low as £318.97 – a bargain! Samsung is a company that likes to surprise with its products; whether it’s a daring design, an innovative feature or just an upgraded feature, there’s always something that will grab your attention in a Samsung product. 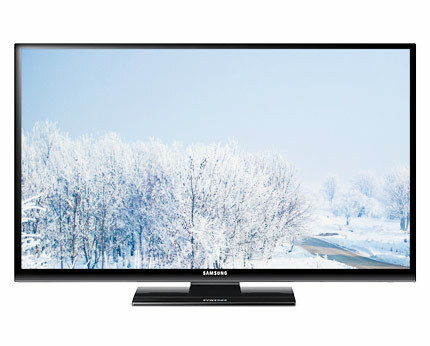 What caught our attention in the product we’re reviewing today, the Samsung E450 plasma TV, is the fact that, even though it comes with an unexplainably low resolution of just 1024 by 768 pixels, it still manages to deliver more than decent images, demonstrating that Samsung’s Real Black Panel and Clear Image Panel technologies really do their job well. 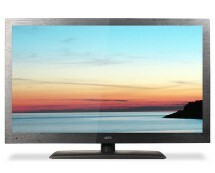 Black levels were impressive and viewing angles were wide enough to put many more expensive LCD TVs to shame. In terms of design the Samsung E450 rises above other budget products with a slim design and Samsung’s specific exceptional build quality. A pleasant surprise came from the sound department: the E450 delivers a rich and powerful sound thanks to the two down-firing 10W speakers. What’s not very impressive about this TV is its power consumption, the TV being rated C in terms of energy efficiency, with a typical power consumption of 115W-120W in normal usage and 54W-58W in power saving mode, as resulted from our tests. 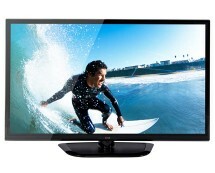 The connectivity side is also a bit poor, the TV coming with only 1 USB port and 2 HDMI ports; still, it’s enough to allow you to connect a Blu-ray player and even a smart dongle that can transform the Samsung E450 into a SMART TV.